Water usage measured on a daily basis! That is tough news for people who like long showers . I raise the question! 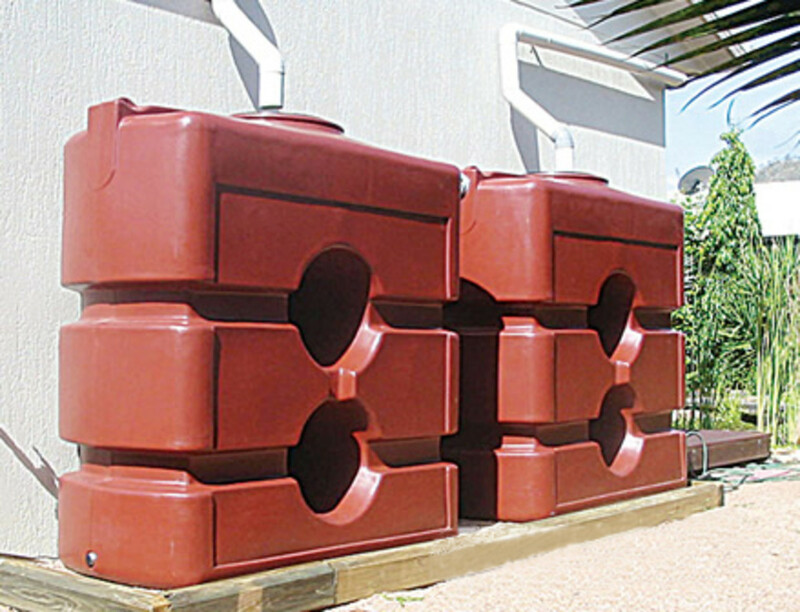 Are Water Storage Tanks for individuals home the answer? I don't know about other countries but in certain parts of Australia especially my state Victoria we are certainly facing a very serious water shortage. In my state alone the capital city Melbourne is now on what is politely called "Stage 3a" water restrictions. The Government is so concerned that it has instigated a program heavily promoted on the TV and other media to encourage people to only use 155 litres of water per day per person. 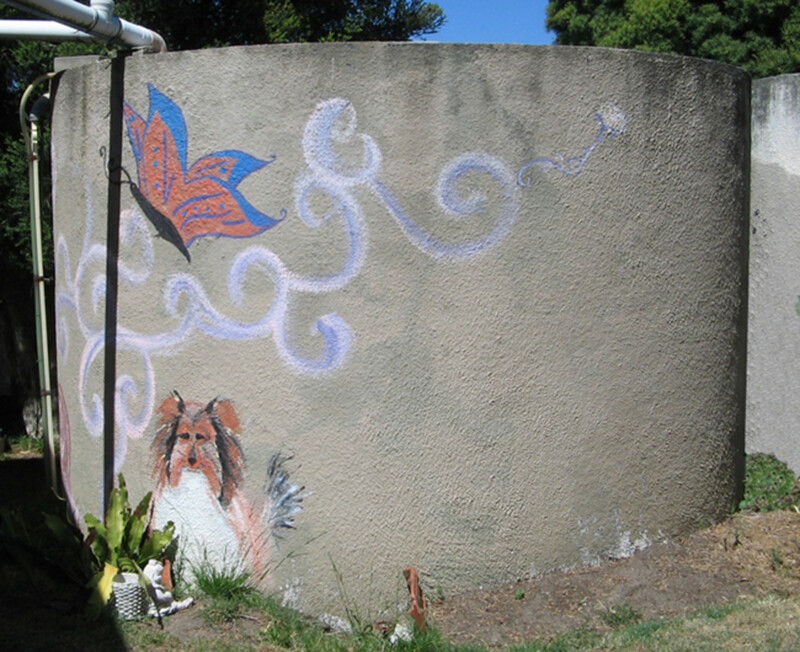 A concrete water storage tank one of three we have. All have been decorated . 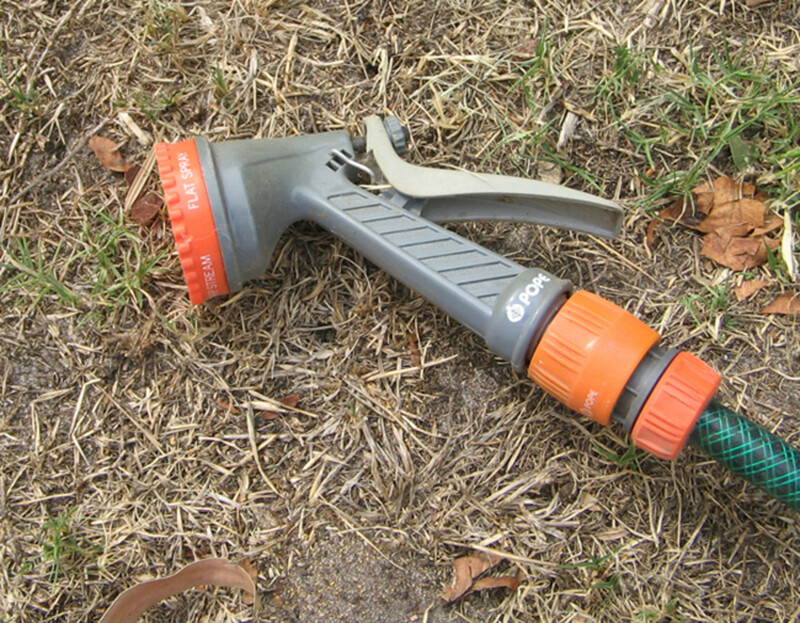 Trigger sprinkler only approved devise for watering by hand. Hand watering only between 6-8am with a hose fitted with a trigger nozzle. Manual dripper - between 6-8am. Automatic dripper - between midnight and 2am. No evening watering is allowed at all. Lawns are not allowed to be watered at any time. Motor cars cannot be washed with a hose. But you can only water on certain days. Odd number houses can water on Sunday and Wednesday. Even number houses can water Saturday and Tuesday. No watering at all is allowed on Mondays, Thursdays and Fridays. Pools and spas cannot be filled, supply must be purchased elsewhere? These are only some of the restrictions, if you are interested check out the full list on the Southeast Water website. 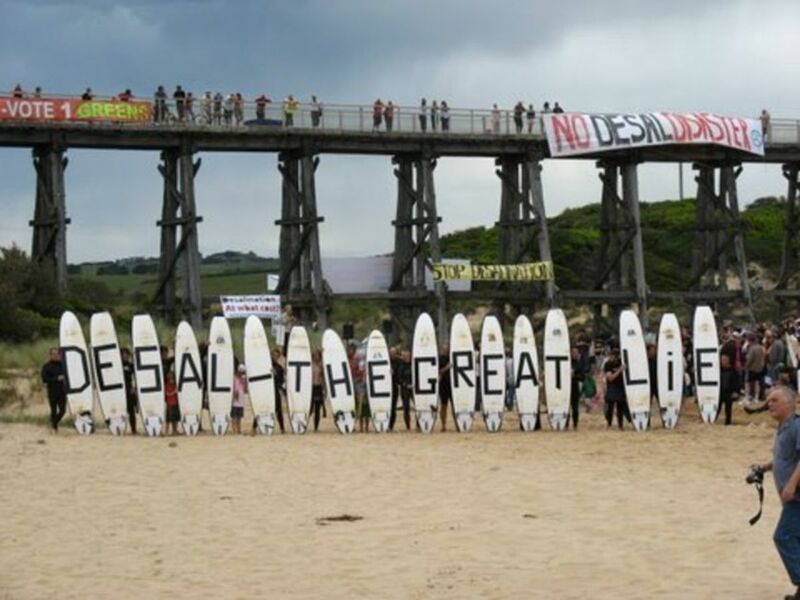 A protest at my favorite part of the world 'Kilcunda' All to no avail unfortunately! The Government has given no indication when these restrictions will be eased. But have indicated that the cost of water is likely to increase quite dramatically. I am critical of the Government because in my opinion they have bowed to the Green movement and flatly refuse to build any further dams. To add insult to injury they have built a North - South pipe line, effectively taking the irrigation water away from the farmers who are also suffering from lack of rain fall. The Government has also infuriated the lovers of our beautiful coastline ( I include myself in this category) and destroyed the pristine coast near Wonthaggi to build a Water Purification plant at the cost of millions. I believe the completion is at least 2 years away! Well not exactly but getting close to it in Australia. Words in quotes borrowed from "The Rime of the Ancient Mariner" written by Samual Taylor Coleridge.I hope he does not mind? There is Always an Upside! Fortunately for us as a family, we live on a 2 acre block and do not have a mains water connection. Although we still pay a levy to the Water Authority! Our water supply comes from the sky in the form of rain! We have a collection system that is the envy of anyone who sees our set up. I will try to explain. Now each one of these buildings feed into water storage tanks. In all we have 3 concrete tanks, and 2 plastic feeder tanks. The whole system is connected together with pipes and after a good downpour it replenishes the tanks very quickly. In all our total storage capacity is approximately 60,000 gallons. To supplement the pressure from the tanks we have pressure sensitive pumps to keep the pressure of the water supply to the houses at a constant pressure. 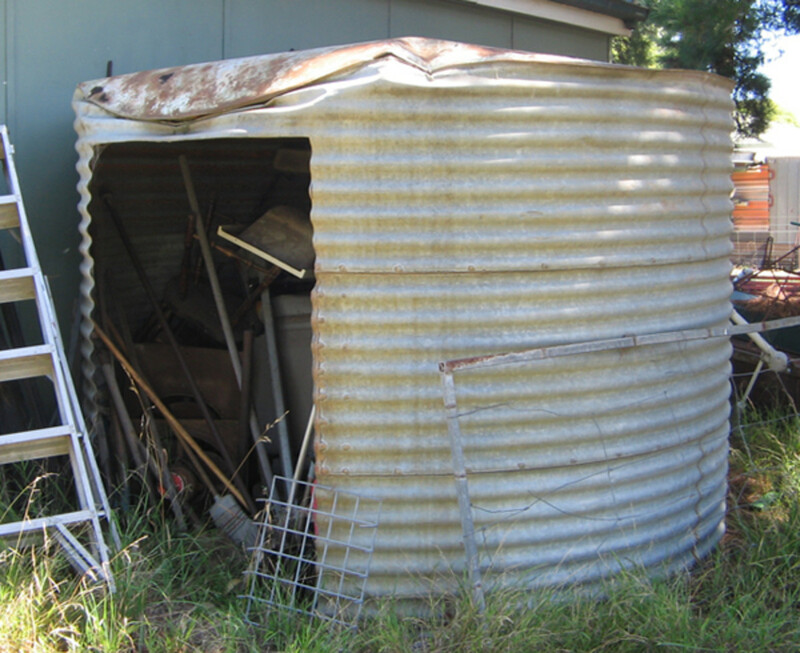 Storage Water Tanks can be slim line and used as walls or fences! Water storage tank raised on a platform to allow more gravity pressure (head). Water Storage tanks think of a size and they will have it! 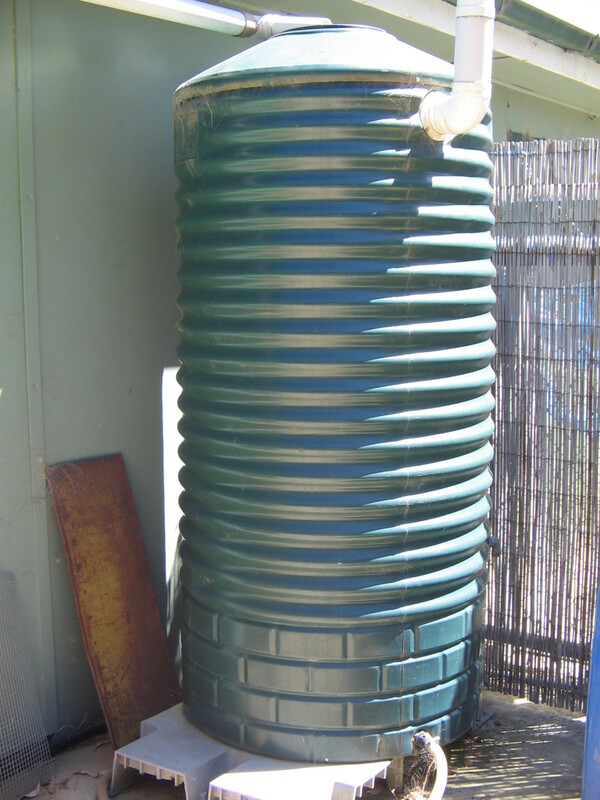 Rain Water Tank - Go get one, you hear ? 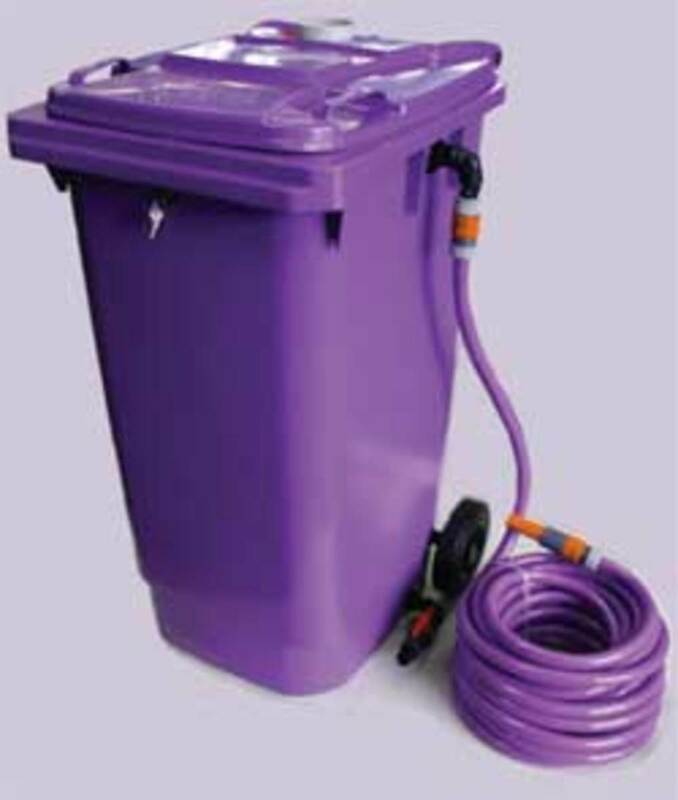 I would urge anyone who has not already done so to install a water storage tank and have it connected to the guttering around the house to collect the rainwater for domestic use , such as drinking , showering etc. 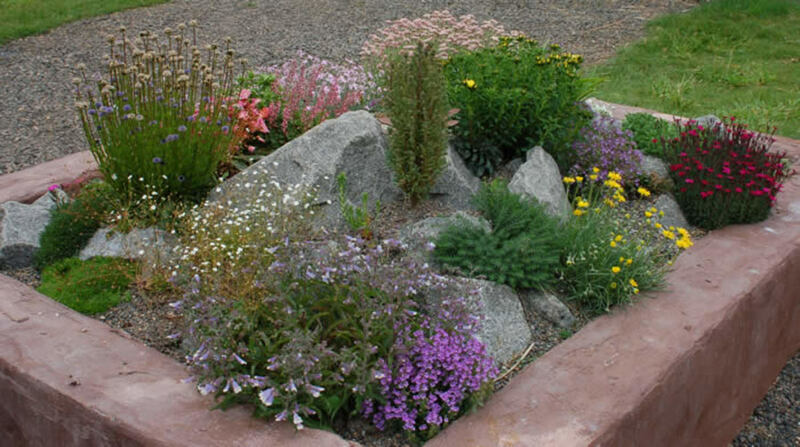 It can be used for the garden as well but in our instance we have a bore for that purpose. As you can see from the diagrams they do come in all shapes and sizes. Water Storage Tanks are not all that expensive and depending on the cost of your water, will be amortized very quickly usually over a couple of years. There are other advantages in using tank water in that it does not have any of the nasty chemicals added to the water by the authorities. If you don't want to go to the expense of buying a pump you can place the tank on a stand to give you some pressure. Of course the higher off the ground you raise the tank the more pressure you get at the tap. 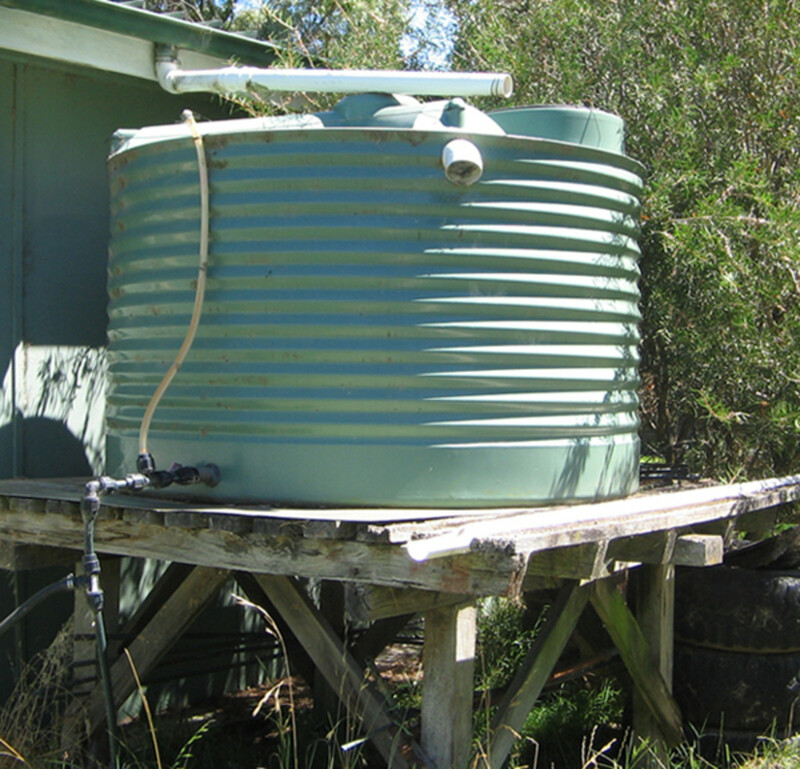 Warning: In many states Rain Water Tanks must be fitted by a licensed Plumber and the run-off connected to the Storm water drainage system. It is best to first check with your local Water Authority if a Rain Water Collection system is allowed in your area ! Water Storage Bladder installed under a house. Water does not have to be stored just in outside tanks that look ugly and take up too much space. Water can be stored in underground tanks and to give you some idea have a look at the diagram. This method allows the water to stay reasonably cool in the Summer and is less likely to freeze in the Winter! Water can also be stored under the house in a double skinned bladder and as you can see by the image the water is collected in the large pipes and is outletted to the pressure sensitive pump to feed the house it's water requirements. Water Storage tanks do literally come in 'all shapes and sizes'. Here is a selection of the most popular! 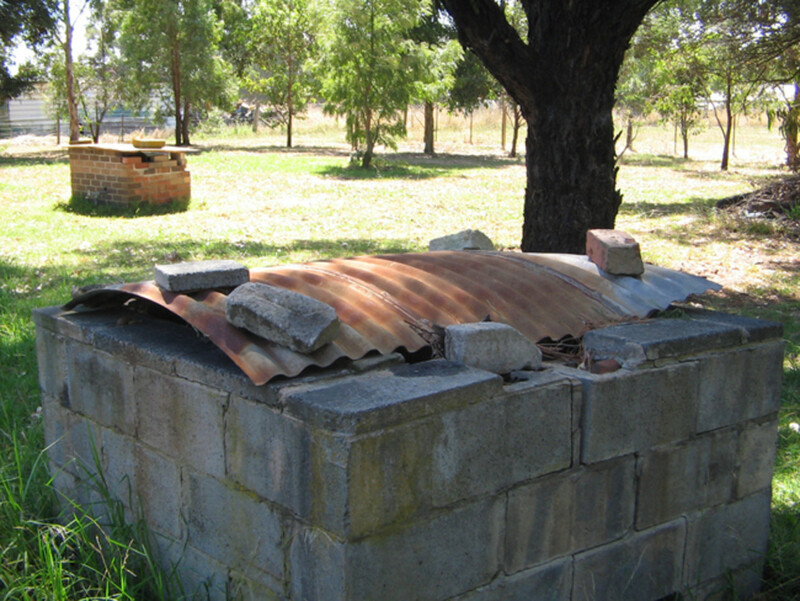 Water storage tank (well not any more) Aussie way of recycling. Great blog. Thanks for posting. 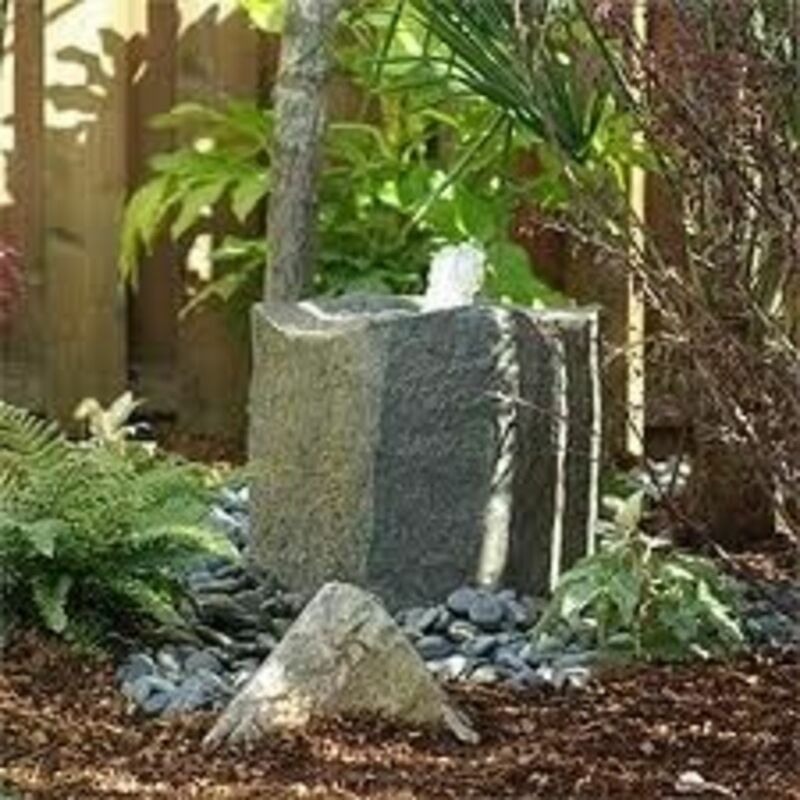 I've been looking for a site that can give me enough informations about water storage. Thanks that I found this one. I learned something new. Keep posting. Dealing with water storage tanks specially when its residential is a serious job. 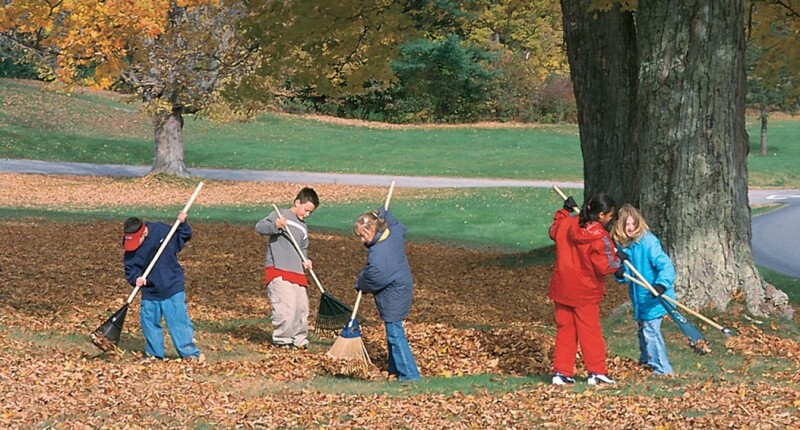 We need skilled and experienced person to help us out in doing it right. Thanks for this post! You gave us all the reminders needed about tanks. In Australia it is an expanding niche market, but I feel that the building of the tanks is so very expensive to set up that the big companies, as usual, are at an advantage. Building custom water storage tanks may be the best option for someone just starting out in the venture! I once worked with a guy who was trying to build custom water tanks. He also sold food storage and did really well with that. I still think the answer is in the sky and more should be done to harvest the rain that falls. Very informative hub for anyone considering buying a water shortage tank for their home. Well done. We have the same water shortage and water restrictions here in Las Vegas as you do. Water is a big issues in the Southwestern part of the USA. Hopefully it is solved before it becomes a real crisis. Dale Mazurek, thanks for the great comment and the list on your Blog. You do know what an 'expert' is don't you Dale ? 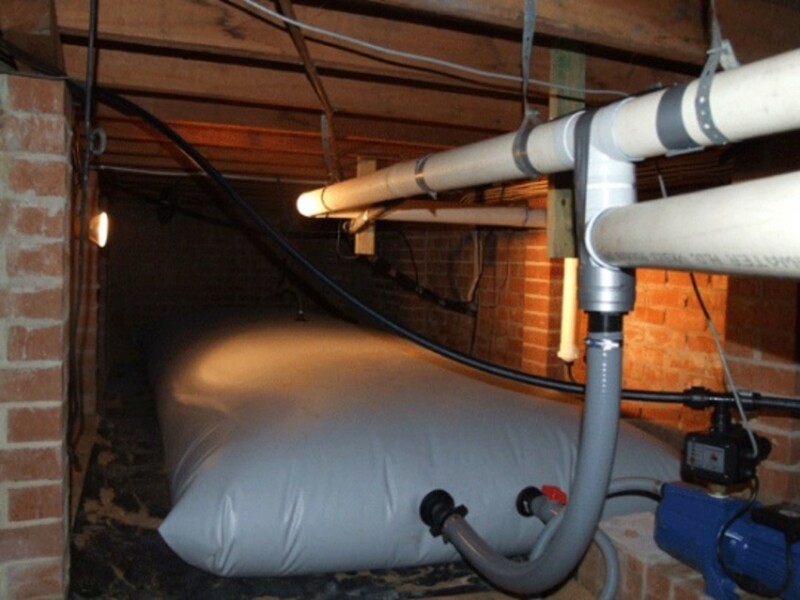 Looks like you are the resident expert when it comes to water storage tanks. Your hub is now listed on my blog. Ben, thanks heaps for the great comment. "grey water" is very big here in Australia especially my city Melbourne. There are many systems available to us , too much for one comment I may do a Hub on the subject. Our state sewage authority has actually set up a water treatment system and is piping out the water in such a quantity that all new estates that are being established have to provide this water to every household for doing just what you suggest in your comment. You may be envious of our 2 acres but man it is a lot of work and we have decided that this year is time to look at downsizing. Even when we downsize we will still be installing Water storage tanks. Always proud to follow another Aussie! Lots of great info hear, I am envious of your two acres, I hope to have that too someday. I was wondering if you ever thought of using "grey" water? That is, rerouting the water from your drains (sinks and tubs) to water your lawn or garden? I know in some parts of the States here they do that where they have water restrictions. Anyway, food for thought. I was really surprised at the number of different tank designs, and that you can drink water gained from your own rain spouts, amazing. I'm certainly on your side with 'every home should have one' policy. I would vote you PM any time. I believe what you call a 'well' we term a 'bore'. We also have a bore but do not use it for domestic purposes, although other people on our estate may. Great hub,I have a coutry home and our water supply is a well source and the tanks make great water storage also during bad weather. 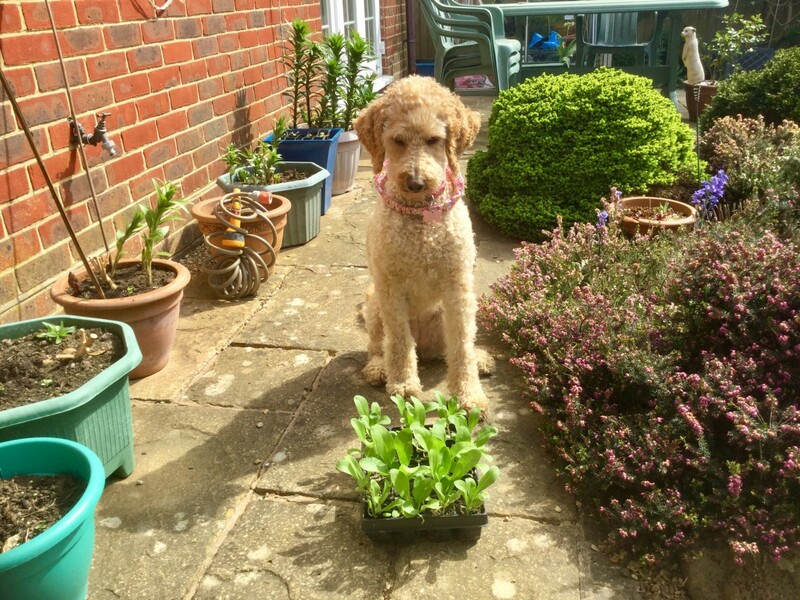 Candie V thanks for your kind words and I also would be worried if the Snow was already melting, signs of an early summer? I heard on the Olympic coverage that the snow was not sufficient in some parts. Is this from Global Warming ? 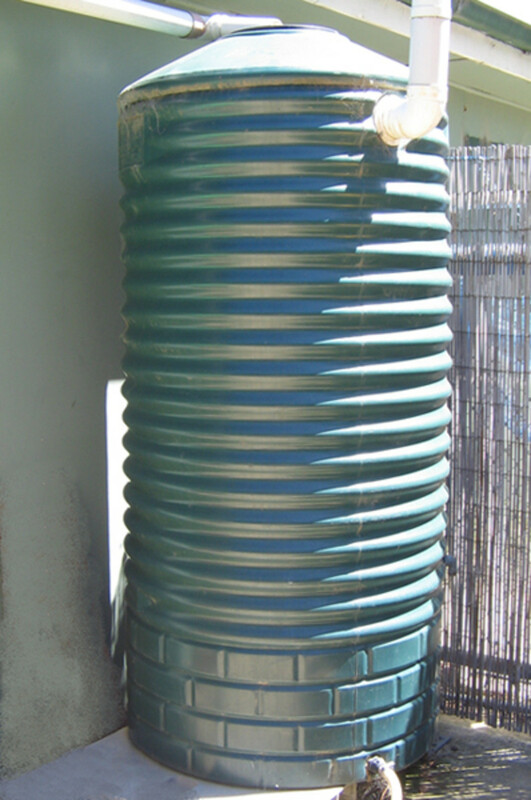 I'm following up with another Hub on the different shapes and sizes of water storage tanks, so stay tuned! I agree, this is an excellent hub! I love rainwater storage drums! I was looking at the snow pack on the mountains this morning, and it's appearing to be a bit light, so we may be facing the same rationing as you. The weather has warmed up too much too early and we're apt to have early melting/flooding instead of taking us slowly thru the summer. So your hub is timely and I'm going to look into a water storage system (rain we get lots of!!) Thanks Ag! Darlene, thanks for your kind words . I do agree with you but I guess there are reasons why it is not possible to install a water tank. earnestshub, thank you very much for the kind comment. I feel that in certain areas , especially in Australia water will be in short supply and we could be in big trouble if we don't do something about it. This is not only a good hub, but has a lot of useful information for our dry land. Well done agvulpes.